This issue of Promising Practices is a companion piece to the webinar titled "Using OCAN in Recovery Oriented Practice" held on November 23 and 24, 2017. In April 2018 the third iteration of the tool, OCAN 3.0, was finalized based on consultations with stakeholders. It is currently being rolled out across the province. In June 2017, the OCAN Community of Interest held a think tank event where participants recommended that the community mental health sector refocus on the primary purpose of OCAN — to enhance recovery-oriented conversations between clients and service providers. In this issue of EENet’s Promising Practices, we highlight the work of three agencies that are doing just that — putting the focus on recovery-oriented practice. Read it below or download the PDF. How does OCAN support recovery-oriented practice? OCAN helps organization’s meet these guidelines with the inclusion of a client self-assessment that enables clients to identify their needs, strengths, and goals. 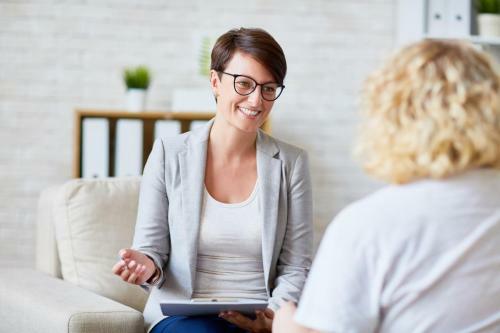 OCAN prompts conversations between clients and service providers to share their perspectives on strengths, and areas of a client’s life that are standing in the way of their recovery (referred to as domains of unmet need). The “Summary of Actions” at the end of the OCAN focuses service plans on what is most important to the client. Why was it important for your organization to refocus on using the OCAN for recovery-oriented practices? We wanted to find a way to use OCAN more appropriately to benefit clients and staff, and to get better staff buy-in. We were only completing OCAN’s for 30 percent of clients. OCAN lacked a purpose in the work we were doing with clients. Staff viewed OCAN as something they just had to do. We know it is an effective assessment tool when used properly. The OCAN tool looks at the whole person — physical, mental, social etc. — and can identify their strengths, their resilience, and gaps that are impacting their health. There were challenges in getting staff buy-in because many didn’t see the usefulness of the tool. We refocused the training on use of OCAN from a health equity lens instead of a dry tool where you just ask a bunch of questions. Taking a holistic approach and capturing the client-driven perspective will have better outcomes for health. It’s quite empowering for the client to see how far they have come. OCAN is a great standardized tool but those completing it were thinking of it as just something they had to do. It was beneficial to focus on recovery-oriented practices for a number of reasons, particularly to ensure more consistency and standardization in how it was completed and used in practice. We wanted to engage workers and clients to help them see the value of the tool. We recognized the value of OCAN from a whole-agency perspective, as we were going through an accreditation process and the re-implementation of OCAN was timely for the organization. What specific challenges were you facing? Some challenges we were facing were that, for some staff, a standardized assessment felt too structured. They felt it was too rigid and it didn’t capture the client as a person. We know OCAN is used as a guide for conversation but it was difficult to get buy-in around that. Finding time to complete the assessments and keeping up with it was also a challenge. Sometimes, clients felt because you are asking so many questions about their life that it is a bit intrusive. We also didn’t have much follow-up after staff members were trained on OCAN. The tool was not fully standardized when we started using it, so it was a challenge to get staff to complete the assessments. Challenges also come when the client is in distress because of the mental health symptoms they are experiencing, where they might not be able to participate in their own assessment. Language, cultural barriers, literacy, and having a significant number of clients with dual diagnosis or with intellectual disabilities makes it challenging for the client to participate in completing the OCAN. We had staff and clients not completing the OCAN and staff had doubts about the usefulness of the tool. We implemented the tool a number of years ago and we focused on training staff on how to fill it out. It was challenging to switch to a new way of working with an emphasis on applying OCAN to support a recovery approach. How did your organization go about refocusing on recovery-oriented practice and what approaches did you use? Our organization implemented a new casework lead position to help build clinical skills and help support our use of the OCAN assessment tool. The driving force was management, as they wanted to standardize the intake and assessment of clients being referred to our services. We needed to ensure that clients were served consistently so we focused more attention on doing OCAN better. We also implemented a new service transformation model called the Choice and Partnership Approach (CAPA) that is a standardized intake and assessment process driven by the client’s choice. OCAN is a natural fit for use as part of CAPA as the tool engages the client as a partner in the process. After the training, there is follow-up where staff complete some OCAN assessments with clients and come back as a small group to discuss the content. The OCAN trainer is available to meet with staff and, almost daily, someone comes to them for ideas and feedback. We also developed resources that are helpful for staff, for example, a domains chart specific to each area that staff can refer to. To reinforce knowledge transfer and consolidation of learning, regular peer-led chart audits are conducted to monitor best practice uptake and identify areas requiring additional education. We refocused training on health equity and cultural competence because there can be differences in worldviews between the client and worker. We also coach the worker and walk through simulation techniques. New staff are trained on OCAN right away and we have trainers available to support them. 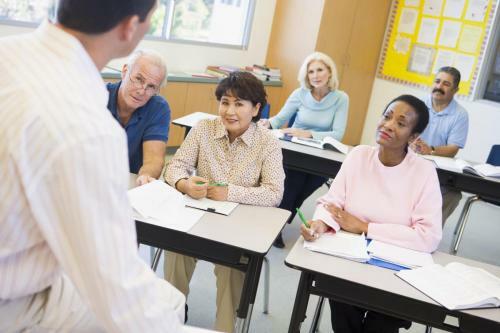 We also do refresher training with existing staff. In supervision sessions, we use OCAN information to review client outcomes and talk about discharge planning. As part of coaching in supervision, we periodically review a number of OCANs and review the assessment with clients. This is added workload for the service provider, but it really improves how they work with that client. Conducting program audits. Privacy officers will pull OCAN reports and give it to us so we can see what work needs to be done and we develop a plan to move forward. Conducting refresher training tailored to identify how staff can use OCAN for specific populations and programs. We take questions ahead of time and adjust the training to meet their needs. We use training resources from Community Care Information Management (CCIM) but also add in a focus on recovery-oriented practice and roleplaying. Taking the training to staff as we have offices, homes, and shelters all over Sudbury. Roleplaying OCAN conversations and coaching staff on questions to ask clients so it becomes useful in the work. Programmatically, streamlining assessments so it frees people up and it doesn’t seem like such a heavy administrative task. Bringing updates about OCAN to leadership meetings to continue to foster buy-in. What successes is your organization seeing with the changes you’ve made? We have staff completing OCAN more often and more patients completing self-assessments. We have had 45 staff trained in OCAN. We started with an OCAN completion rate of 30 percent and now it’s around 65 percent. Our goal is 100 percent but don’t want to rush it. We want to reverse the idea that they need to just get these done. We are also seeing that 85 to 90 percent of clients complete the self-assessment. Clients appreciate the structure around identifying their met and unmet needs and what is a priority to them. There is a summary of actions in their file so that it is quick and easy to access information about what services the client is receiving. Our clients’ feedback has been positive, we hear it simplifies things for them and they like to have that conversation with staff, it flows nicely and makes sense to them. We have embedded OCAN into our everyday language, with teams and with clients, and people are talking about OCAN and it is making sense to them. By doing the OCAN along with a few other assessments we can also identify quickly what services are the best fit for a client’s needs. Wait lists for case management and services have been significantly decreased in the past six months, since the re-focus. What we have now is a much better intake model and treatment plans. With the changes we implemented things have drastically changed. OCAN is now used as a living document that actually drives the work that we do, whereas before it was just a tool that you filled out. We built partnerships and made linkages so clients can be transferred to more appropriate services. This really helps with service planning. For example, we’ve noticed that a number of clients in case management have progressed well, but were still linked to case managers because they were socially isolated. They continued to have unmet needs in domains such as daytime activities, intimate relationships, and company. Now, instead of continuing with case management, they are linked with programs that offer friendly visits and social interactions. Because of this, we’ve increased a number of groups, so once clients are discharged from case management, they transition to groups such as peer support, wellness groups, and into social activities. We also noticed that there are better conversations with the clients, and at the six-month re-assessment mark, the staff and client can evaluate their progress and celebrate accomplishments. Now that we recognize the value of OCAN, it has fostered buy-in and increased understanding of how to use it appropriately. Our staff are on the same page about its use. We have trained and re-trained 30 to 40 staff, and most of our frontline staff, housing, case management, justice, and harm reduction, home and managed alcohol programs have had some further training. We hope to continue to build capacity and OCAN champions. Why should an organization refocus on using OCAN to support client-centred conversations? What can other organizations learn from your organization’s experience? It is important to have an OCAN trainer who staff can go to with their questions. We don’t want staff to feel like they just need to do it. We want them to see the value of using it and see improvements with their clients. You can’t rush it. It is not just something you just do once, it is an ongoing improvement, embedding it into the culture and adding it to the natural flow of conversation. The big surprise lesson was when we sat down with clients and did the OCAN with them; we found that they were able to see the progress they had made. Discharge is always hard, but if they see their progress through a standardized process, it makes discharge easier. Doing the work we have done around CAPA and OCAN has increased discharge rates, resulting in reduced wait times for case management. Clients are engaged in their recovery work. As tangible goals are met they can focus on the future. Organizations can benefit from ongoing conversations around how assessments are largely shaped by our own worldview; looking at training their staff in cultural competency and developing awareness about how our own worldview, as well as the client’s worldview, shape these interactions. Refresher training can help identify where the barriers are around questions, such as sexuality, and help increase the worker’s comfort level in asking them. It is beneficial to review OCANs in supervision, to coach and support staff. Ongoing audits and reviewing of OCAN results needs to be consistently done, quarterly and yearly, to see what commonalities there are and to make changes. As well, OCAN is a great tool for discharge planning, from beginning to end, and sharing this with clients so they are constantly aware of what they have achieved. It just makes a lot of sense in terms of standardization, as the questions, domains, person-centredness, and recovery focus really do cover what you would have on a psychosocial assessment. OCAN is just a good fit. We worked really hard to get the buy-in at all levels and generate excitement. You have to come at it from a positive place because if you don’t, people won’t buy in. Buy-in is key. All levels of the organization, including the clients, need to see the value and benefits of using OCAN. Have regular training, coaching and audits to maintain the quality of OCAN. Have an identified OCAN trainer in the organization to support staff. Health equity and cultural competence are important when completing the OCAN. Ultimately, OCAN use can be approached in ways that enhance recovery-oriented conversations between clients and staff. Organizations using OCAN across the province can use the experiences and tips outlined in this article to maximize the value of the tool. For more information on OCAN please visit the CCIM website at www.ccim.on.ca. Learn to use emotional mapping to understand experiences with OCAN. Do you use the Ontario Common Assessment of Need (OCAN) or work in community mental health? Are you interested in different ways to improve quality within your organization?